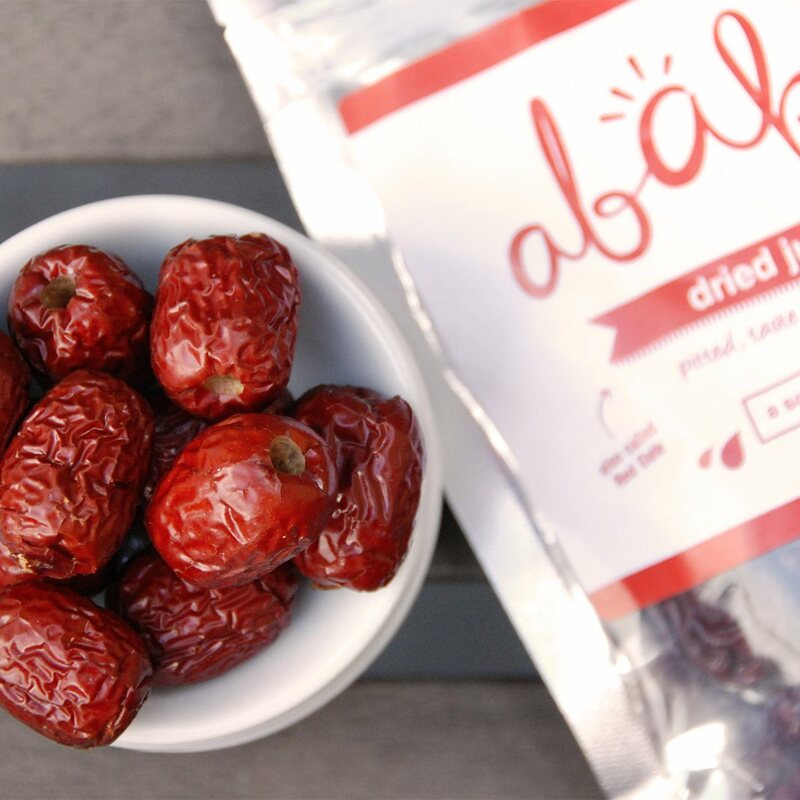 Also known as the Red Date, the Jujube fruit is less sweet than ordinary dates. It's spongy texture and earthy sweetness also makes it more snackable. It originates from Asia where it has been enjoyed as a longetivity berry for thousands of years. 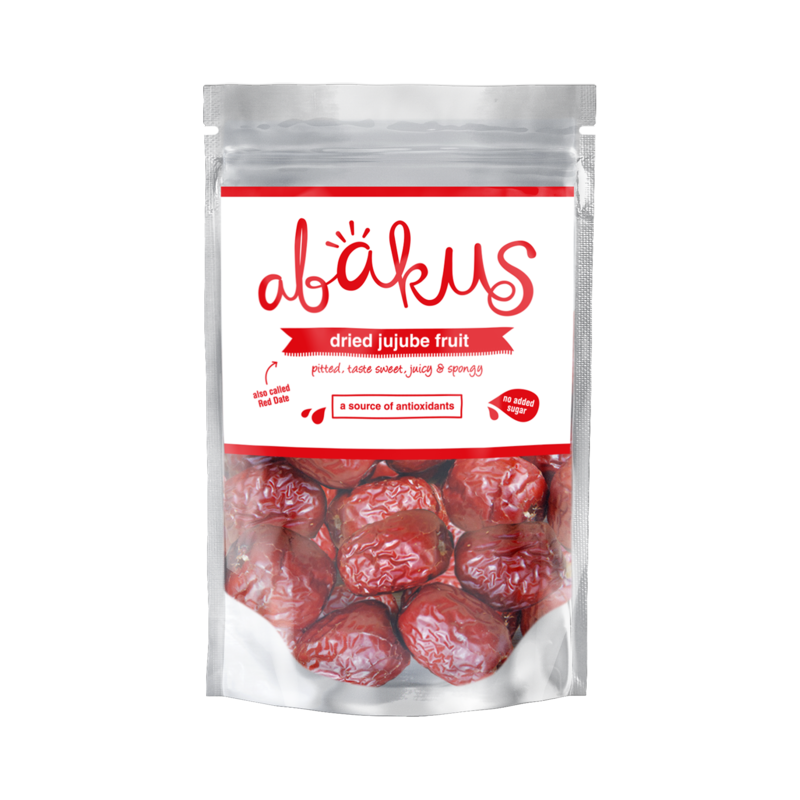 Packed with phytonutrients, Jujube fruits are high in antioxidants, and also have sedative properties to help calm the mind. They are widely used in Traditional Chinese Medicine to treat anxiety and insomnia. Free From: Gluten, Dairy, GMO, Additives. Suitable for vegetarians and vegans. Great as a snack in between, or use in porridge, cooking, salads and baking. Available to buy in a taster pack of 2 x 40g pouches or in a case of 24 x 40g pouches. Minimum shelf life 3 months - maximum 8 - 10 months. 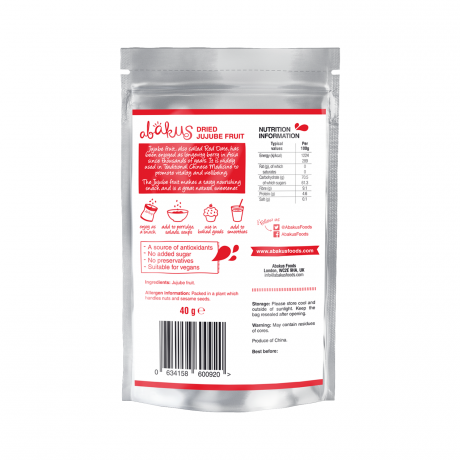 I've been enjoying some healthy on-the-go treats from Abakus Foods. 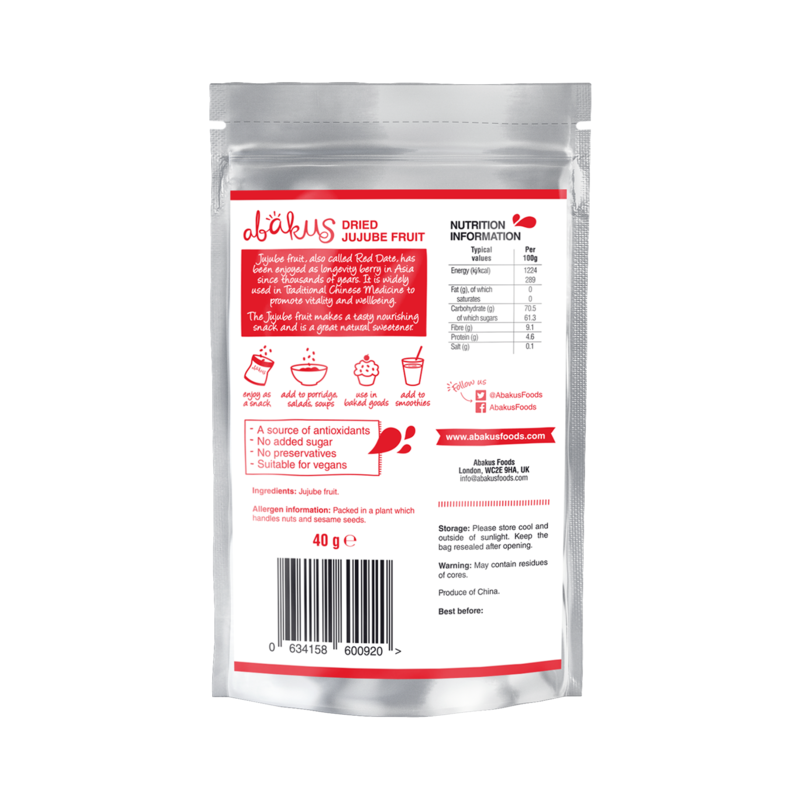 I especially like Abakus' new range of Jujube products - all gluten-free, dairy-free, and vegan with no additives or added sugar. Something tasty that can help with the jet lag is just sort of snack I need!